Everyone is at risk of dengue infection, according to the Department of Health. And kids of ages 10 years and below are at great risk that's why we need to level up their protection against this serious, potentially deadly disease - whether they are at home or in school. 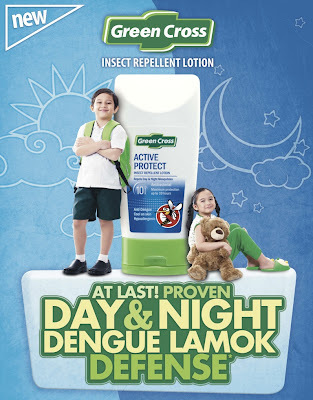 The Green Cross School Crashers campaign is a very important frontline effort to defend school children against dengue. They will go to various schools in Metro Manila to empower school children by teaching them proper habits that will protect them from dengue lamok or dengue-carrying mosquitoes. 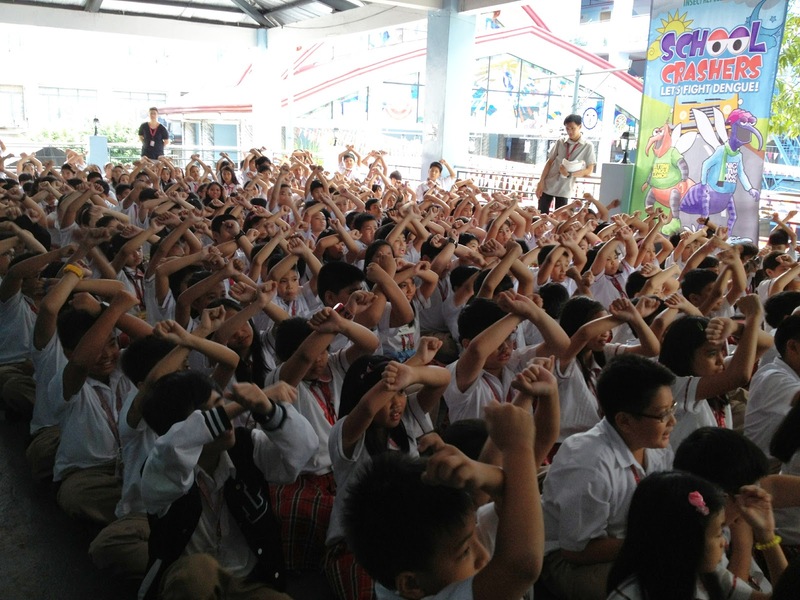 And last November 17, the Green Cross School Crashers hit Paco Catholic School, where elementary school pupils learned about the two “school crashers”: Daytime Dengue Lamok and Nighttime Dengue Lamok. Paco Catholic School Director Msgr. Rolando Dela Cruz, is happy that the students’ displayed much enthusiasm and learning during their participation in the interactive educational session held by the Green Cross School Crashers team for the kids. For many, many years, people believed that Ae.aegypti was the only threat, but recently, Filipino entomologists discovered that another dengue lamok, Ae. albopictus, a nighttime dengue lamok which is a threat to kids and families. And Paco Catholic School kids were lucky enough to learn a lot about these two types, or species, of dengue lamok through a fun way that they will never forget. 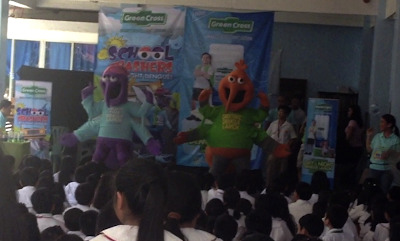 With the use of fun and exciting games, songs, dances, story-telling sessions and interaction with the Green Cross ambassador, Ms. Green, and the two mascots Daytime Dengue Lamok and Nighttime Dengue Lamok, Paco Catholic School pupils easily understand this new scientific discovery and other concepts about dengue and dengue lamok. Ms. Green shared information on what students and parents can do to prevent dengue lamok from breeding. From getting rid of stagnant water in the house and its surroundings, to wearing of long pants and long sleeved shirts and applying insect repellent lotion to prevent mosquitoes from landing on and biting the kids’ skin. Based on a Department of Health report, the national dengue cases from January to September 2012 now reached 95,142. This figure is 12.94% higher compared to the same period last year which was 84, 244 cases. DOH has also detailed that the prime dengue victims are mostly children under 10 years of age because of their weaker immune systems. The Green Cross School Crashers team held two interactive learning sessions in the campus that day, one for Grade 4 and another for Grade 6 students. 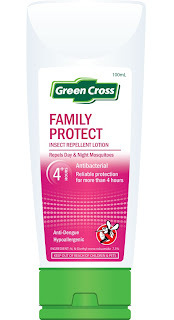 Green Cross Insect Repellent Lotion is clinically proven to protect against Daytime Dengue Lamok and Nighttime Dengue Lamok. It also provides the anti-bacterial protection that the Green Cross brand is known and trusted to provide. Watch out for more school crashing because the Green Cross School Crashers team will be hitting St. Scholastica’s College Manila; St .Scholastica’s College Marikina, St. Pedro Poveda, Manila Cathedral School, Notre Dame of Greater Manila, St. Mary’s Academy of Caloocan, Diliman Preparatory School, Sienna College, St. Jude Catholic School, Philippine Cultural College, Pasig Catholic College, University of Perpetual Help, Lourdes School of Mandaluyong, Divine Light Academy, Paref Southridge School and MGC New Life School to inform everyone about this dengue lamok development. You can visit Green Cross Alcohol Philippines or call Green Cross hotline at 0917-9765980 for more Green Cross School Crashers updates! Stay safe and healthy, everyone!